Are you looking for a way to get your kids active? Maybe you've got a degree in sports science or even your basic coaching badges, but don't know what to do with them. Or, perhaps, you're looking for a way to get fit and have fun at the same time. Well, one of the best ways to achieve all those things is to start a youth football team, which can be one of the most rewarding experiences in your life. Before you get any ideas above your station, though, there are a few things you'll need to do to prepare. We've got you covered, though, with this essential guide to starting a youth team, along with all the tips and tricks you'll need along the way. Sound good? Great, let's get started. Well, obviously, the first thing you're going to need is willing participants. 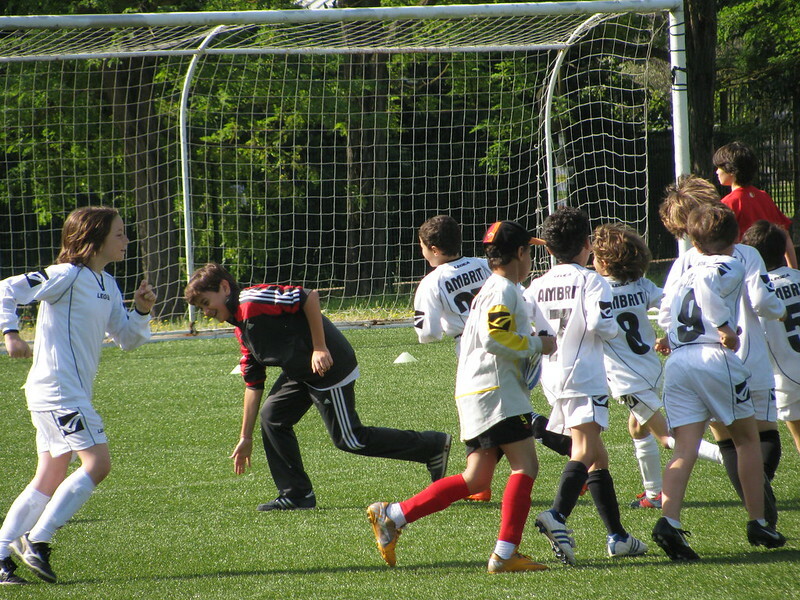 The good news is that there is no shortage of kids that love football, especially playing it. Put the feelers out in your local area and ask the parents at your children's school if they would be interested. That way, you can gauge interest in the idea and drum up some cash to get started. If you charge a nominal fee for participation, you can cover the costs of starting up your team. Going back to the school idea for a second, you might want to meet with the governing body to see if they'd have any interest in backing you. If they don't already have a team of their own, this could be your way in. Their school field will undoubtedly be a great place to train the kids. If not, local parks are always a good option, or you could even rent out a designated training pitch in your area. It goes without saying that you're going to need to purchase a few things up front before you get started. As mentioned above, charging a small fee per session can be a good way of raising the extra cash to cover your expenses. Another option is to simply delegate things like buying kits, shinpads, and boots to the kids' parents. You might also buy some trophys & awards from Premier Trophies as a way to reward good training. Kids need motivation, and that can be a great way to give them something to work towards. Remember, you'll also need to buy things like balls and cones for your sessions. Once you feel confident in your team's ability, you might seek out your local youth federation to enquire about participating. Amateur leagues are still just as competitive. But they're also fantastic ways of getting experience, increasing fitness and just having fun. Running a youth team can be very demanding on your time and patience, but you'll struggle to find a more rewarding venture. Especially so if your own kids are involved. Seeing how far your team has come can give you a special sense of pride, and you can't put a price on that. Highlight Your Best Facial Features With These Tips!